We light a flaming chalice in worship to create a reverent space for reflection, prayer, meditation, contemplation, sharing, and singing. 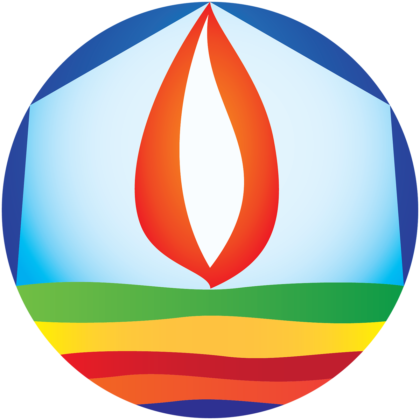 Over the years, many Unitarian Universalist congregations and communities have created different artistic interpretations of the chalice flame. Here, you see our homegrown chalice flame, crafted by Randy Bramwell, now deceased, once a dedicated member and president of the congregation. This unique flaming chalice can be found throughout our building, on our letterhead, and in other images that represent our presence.